4/1/16 - 5/1/16 ~ . April is always a joyful month for us. This is the month where we started our noble activities 8 years ago. Our brains filled with so many thoughts on how to celebrate our get together event and thus get more motivation and support from all of us to lead this year with more committed, dedicated efforts in serving others. Its my and our team personal feeling to celebrate this success and joy with you. Kindly spend your few hours to support our activities. We are ready to extend our selfless service, all we need is your participation, presence and support. Since you're a dear friend who's supported us all throughout, we'd like you to be a part of our anniversary celebrations. - Let's enjoy this special moment together, and make it memorable for us! 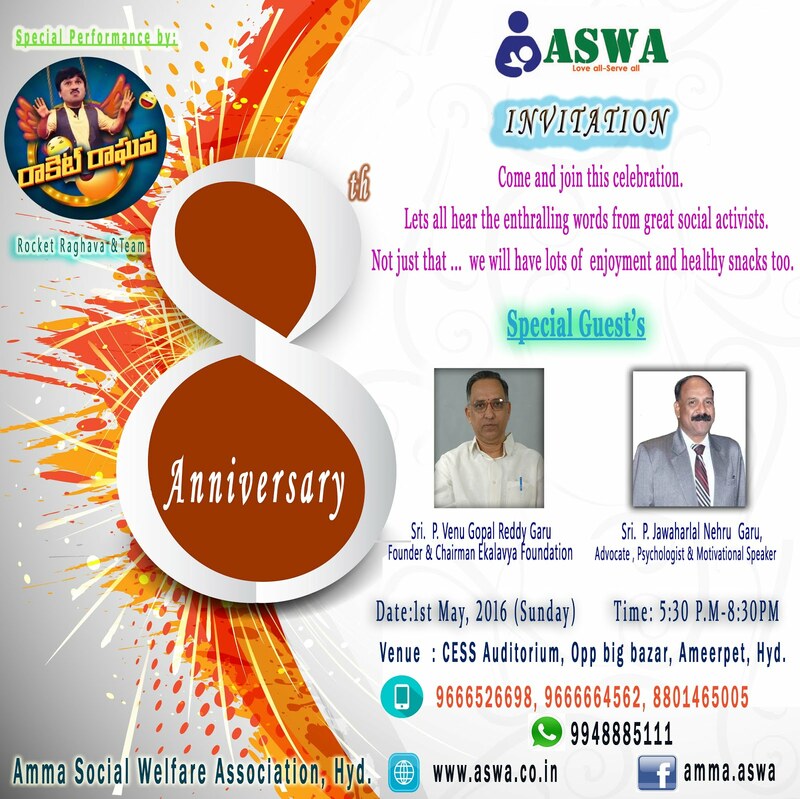 Today 17-04-16 our ASWA people attended a great session EDUCATION and HUMAN VALUES by Shiva Shankar garu and Giri garu.. Mainly how to build the strong relationships..
How to lead happy life.. etc..
Special thanks to ASWA Management board.. for arranging a nice session..
We extend our sincere thanks to you for your participation and Blood Donation in our Blood Donation camp @ SrinivasaNagar Community Hall on 14th Feb 2016 conducted by Amma Social Welfare Association (ASWA) with support of INDOCHEM Technologies. we get Stupendous response for this Blood camp. In this camp 350 members participated and 245 donors Donated Blood . Another most significant thing in this Mega Blood Donation Camp is record no of women volunteers participated and Donated Blood . 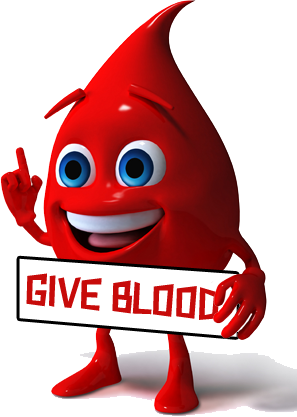 On the Blood Camp Day @ 10 AM to 11.30 AM , ASWA conducted Blood Donation and Thalassemia awareness 2K RUN . 50 volunteers participated and motivated many people in Ameerpet ,SRNagar, Yousufguda Areas. Sai Medha Coaching Center , Ameerpet. 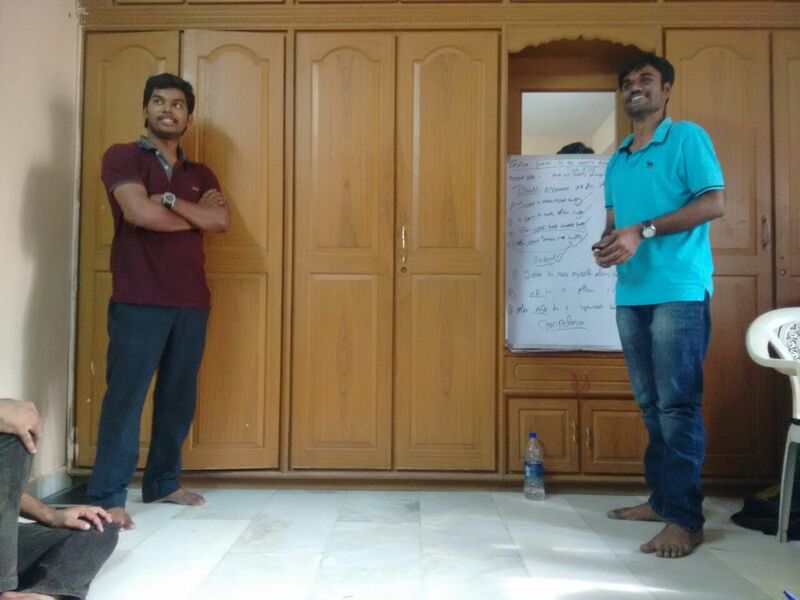 Chaitanya, Harish nanda, Prasanna , DurgaPrasad , Veerendra , Nikunj, Narendra ,Srikanth, Naresh, Jayanthi, Santhosh , Sunitha, Sirisha , Sri kavya, Supraja , Ajay Kumar, Chalapathi, Gnanesh , Madhan Gopal , Navya , Mani krishna , Sandeep , Gopal Krishna , Mohan Nag Kumar, Mahesh Desu,Mastan, Rakesh , Vaheeda . 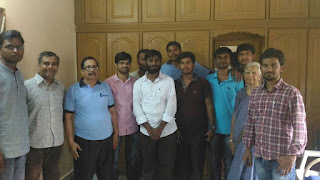 Durga Prasad , Rakesh, Aakash ,Mahesh Desu , Pavan , Sankararao , Santaram , jayanthi, Vimala, Jalajakshi, Chaitanya, Mastan, Veerendra, Madhan , Sankesh , Laxman , Rakesh .